Safety is a priority. A RN or MD resides in the fully equipped infirmary that is open 24 hrs and is centrally located on the grounds. All medication is stored and dispensed through the infirmary. Most of the camp staff are CPR and First Aid certified and all waterfront staff are certified lifeguards. Both camps are ACA accredited which means we have successfully fulfilled the requirements of over 200 standards that are the benchmark for a safe and well-operated camp program and facility. The positions of camp leader, supervisor, assistant director and director, are never taken lightly. The opportunity to work with a child is a wonderful privilege which the staff treasures. The majority of camp staff attended camp as campers and have come back to serve as returning staff. A week long leadership training session further prepares the staff for their summer responsibilities. Most staff members are certified by the Red Cross in First Aid and CPR, and all of our waterfront staff are certified lifeguards. A 6:1 camper to staff ratio ensures campers will get the individual attention they need. Because of the importance experience has on job placement, camp leaders are young men and women ranging from high school juniors to college students. All camp program staff must be at least 21 years old and have prior experience in camping. The rest of our staff is composed of college students and graduates. Each day of camp, the staff has a meeting that ends in prayer to ask for guidance and protection as they lead their campers through the day. 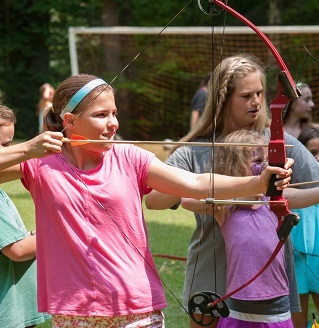 As a Parent, "Why Choose Our Summer Camps?" Nestled in the foothills of the Northeast Georgia Mountains in the town of Tallulah Falls, GA.
We were founded in 1898 and 1933 for over 150 years of experience. We are committed to a Christian camping experience. The ice-cream hike, slippery rock, apple pie ridge to name a few.